In June of 1876, on a desolate hill above a winding river called "the Little BIghorn," George Armstrong Custer and all 210 men under his direct command were annihilated by almost 2,000 Sioux and Cheyenne. The news of this devastating loss caused a public uproar, and those in positions of power promptly began to point fingers in order to avoid responsibility. Custer, who was conveniently dead, took the brunt of the blame.The truth, however, was far more complex. A Terrible Glory is the first book to relate the entire story of this endlessly fascinating battle, and the first to call upon all the significant research and findings of the past twenty-five years--which have changed significantly how this controversial event is perceived. Furthermore, it is the first book to bring to light the details of the U.S. Army cover-up--and unravel one of the greatest mysteries in U.S. military history. Scrupulously researched, A Terrible Glory will stand as ta landmark work. Brimming with authentic detail and an unforgettable cast of characters--from Sitting Bull and Crazy Horse to Ulysses Grant and Custer himself--this is history with the sweep of a great novel. 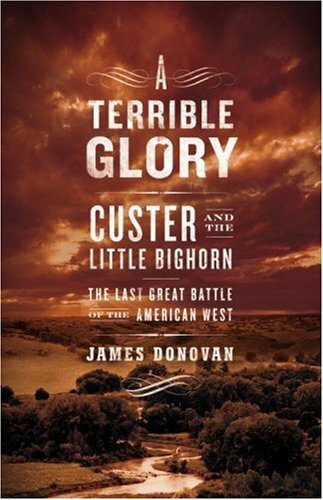 The Battle of the Little Big Horn resulted in the annihilation of all the troops under the command of Col. George Custer by Sioux Indians. George A. Custer was an officer during the Civil War who continued his military career in the Indian Wars until his defeat and death at Little Big Horn. The Cheyenne Indian tribe was one of the principal tribes of the Great Plains. Crazy Horse was a leader of the Teton Sioux who struggled against white encroachment and was one of the Indian commanders in the Battle of Little Bighorn. Ulysses S. Grant rose from obscurity to head the victorious Union army in the Civil War and later became President.